Mess free filling! Thorough cleaning! No need for a filling station and no more stuck food in places you can’t reach. Durable, reusable and super cute! This 6 pack of Sage Squeezies comes with 6 Dinosaur Squeezies. 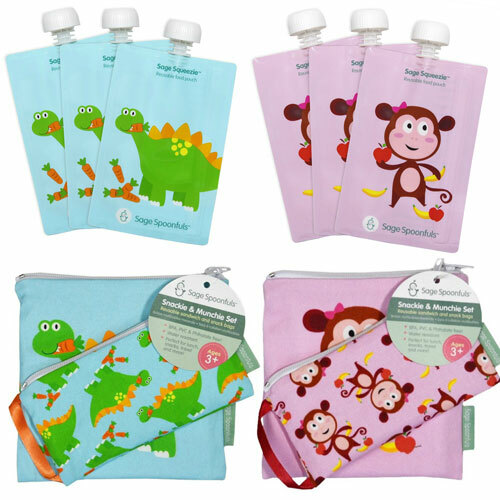 The perfect food pouch for baby food, yogurt blends and toddler smoothies. 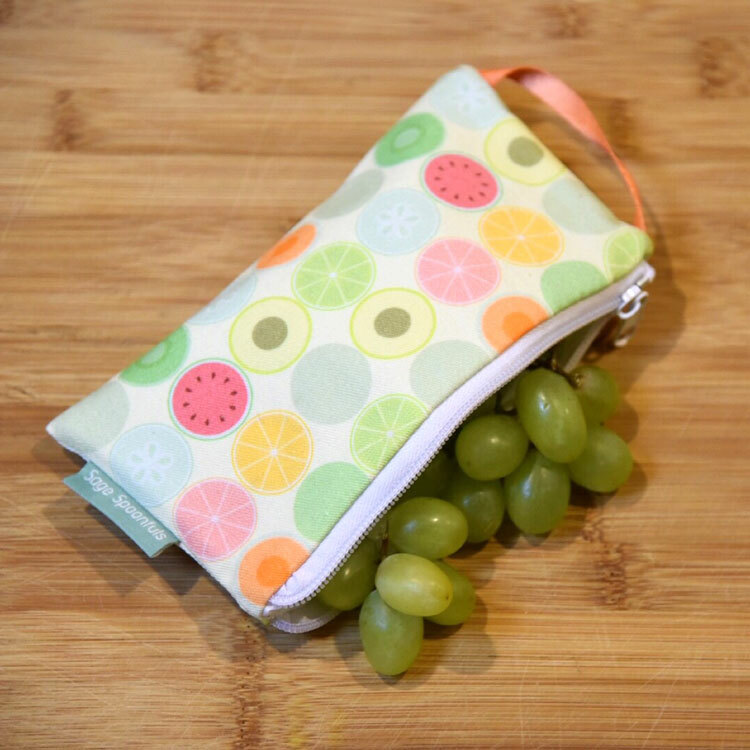 Each pouch has a convenient 7oz capacity and there’s no need to spend money on an additional filling station! 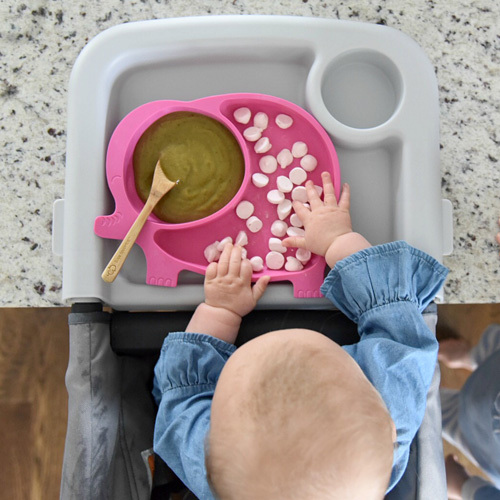 The Sage Squeezie can be easily filled with a spoon or poured directly from your Sage Baby Puree & Blend food processor or bowl. Great for little hands on-the-go! Just fill with your child’s favorite smoothie, yogurt or other healthy treat and you’re good to go. Doubles as a freezer pack to help keep school lunches fresh - will defrost just in time for lunch! Freezer and dishwasher safe! 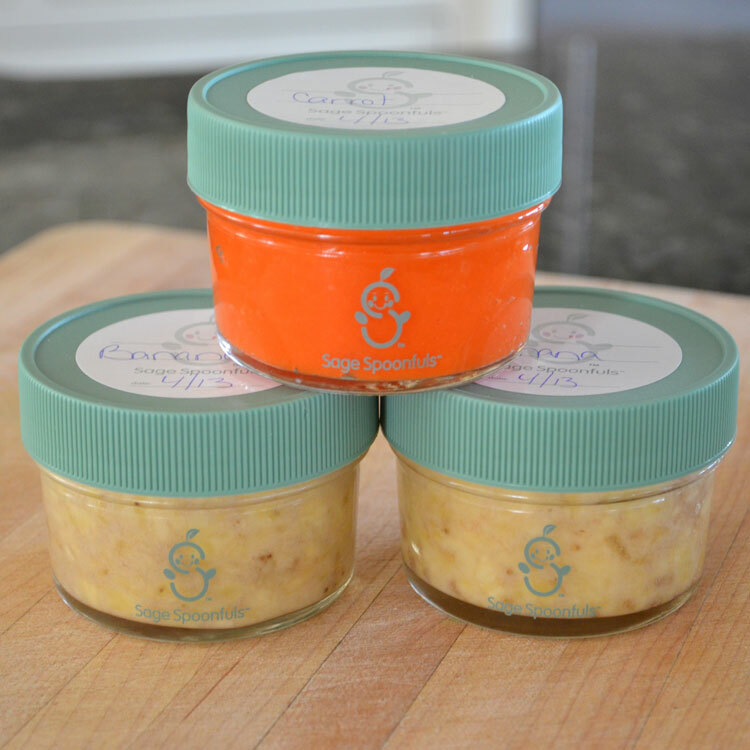 FDA and CPSIA approved – BPA, Phthalate, Lead and PVC free.